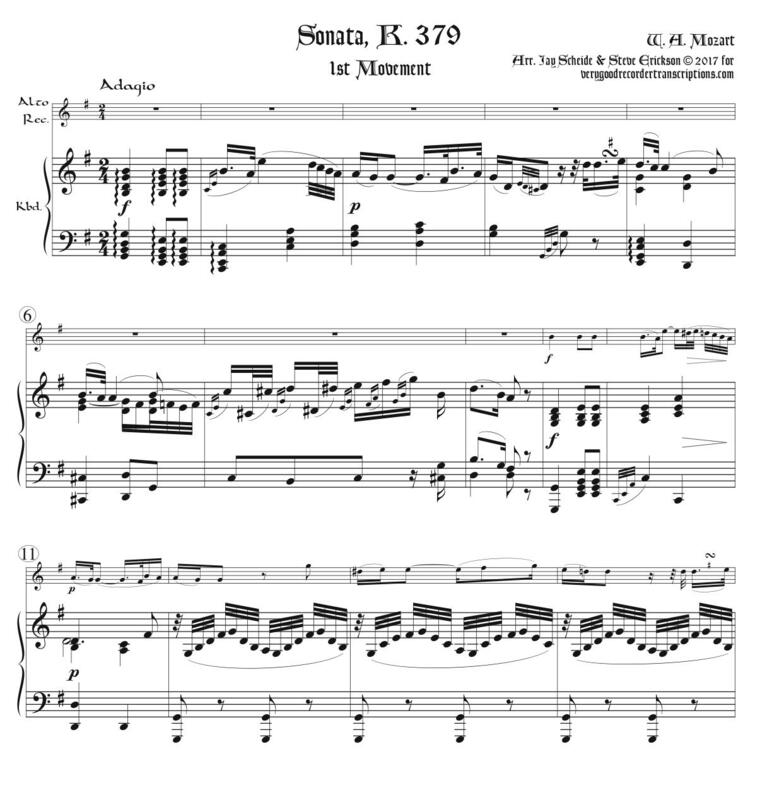 Originally “for pianoforte with accompaniment of violin,” considered to be in G major despite most of the 1st movement being in g minor, as here. Two movements, the 1st Adagio-allegro, the 2nd an Andantino cantabile theme and variations. NB, the recorder part does not always follow the original violin part but sometimes is based on the right hand of the keyboard part. Revised April 9, 2018.